House Name Bhagwati, 23/186, Parshavnath Colony Near Shri Ram Restaurant, Savina Road, Udaipur. This is an invitation to all the people of Udaipur who are planning big for some important eve! 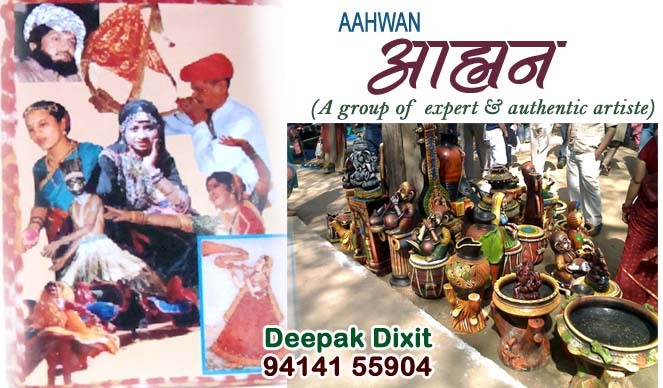 The group of experts and great artiste for any event now is in your very own city,Udaipur. We are the event planner for every type of occasion and we make your normal party as a grand eve. So don’t miss the opportunity to explore us so that you don’t repent being mistaken. Be it any occasion, a birthday party or a wedding or ladies sangeet; we arrange all types of theatrical events like puppet shows, hindidramas ,magic shows ,etc. Our staff is well trained and highly talented. We create a complete rajasthani atmosphere around you and you may not desire to end the occasion ever. We promise to provide you the full on entertainment factor at your doorstep. The major proof of our authentication and work is that we have the experience of planning and organizing the great grand weddings and grand stage programs in foreign land For your religious events we have the arrangements for bhajansandhya ,shrimadBhagwatGeeta . We also make arrangements for Craft shops and melas to give a rajasthani artistic touch.